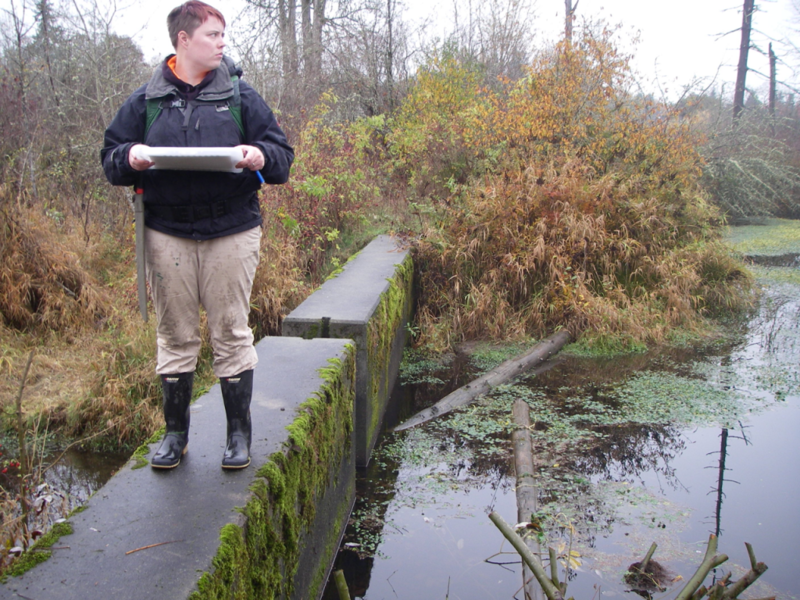 Some images from the field, where Herrera is assisting Clean Water Services with the planning, design, and permitting of a habitat enhancement and stormwater outfall improvement project on a reach of Bronson Creek in Washington County, Oregon. The project will involve placement of large wood habitat structures in the stream channel and floodplain, large scale revegetation with native species, and the identification of habitat and water quality improvement opportunities at the many stormwater outfall locations in the reach. Herrera’s interdisciplinary team is developing a design for early implementation that will meet multiple objectives, and will develop long-term recommendations for further basin-scale improvements.